AlphaNetworks, a Cheyenne, Wyoming-based blockchain-powered entertainment platform supported by AI and cognitive science, closed $10m in funding. The round was led by Alphabit Digital Currency Fund joined by Shuttle Fund of Korea, Smart Contract of Japan and other major crypto investors. Led by Seth Shapiro, AlphaNetworks provides a blockchain-powered entertainment platform that combines subscription VOD, targeted advertising, and pay-per-view business models. The system provides complete pricing freedom and increased monetization for content creators based on a viewership-based algorithm, along with AI-powered audience analytics. 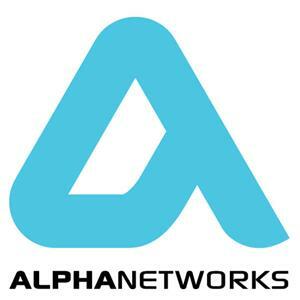 AlphaNetworks Proof of Engagement (PoE) algorithm tracks interactions between consumers, advertisers, and content, giving all stakeholders transparent insight into audience behaviors, which means improved curation for viewers, fair compensation for creators, and more targeted advertising—all tracked and authenticated on the blockchain. RadicalMedia, a multi-disciplinary studio that creates some of the world’s most innovative content led by co-founder Frank Scherma, will oversee content production. Jay Samit (Deloitte, EMI, Sony, SeaChange).